Growing concern exists among researchers regarding the effects of the Internet on youth regarding potential risks to safety, well-being, and skill development. Recent technological advancements have had a drastic impact on the way individuals communicate. The 20th century was epitomized by youth staying connected through face-to face interaction or the use of the landline telephones. According to statistics gathered by ComScore Networks, 713 million people ages 15 or older, which was 14% of the global population, used the Internet in June 2006. As technological advancements are made, the residual impact of social networking on society’s young generation is of valuable importance to researchers in the social work field. Left unattended, the lack of skills to effectively communicate and resolve conflicts in person may negatively affect behavior and impair the ability to develop and maintain relationships. 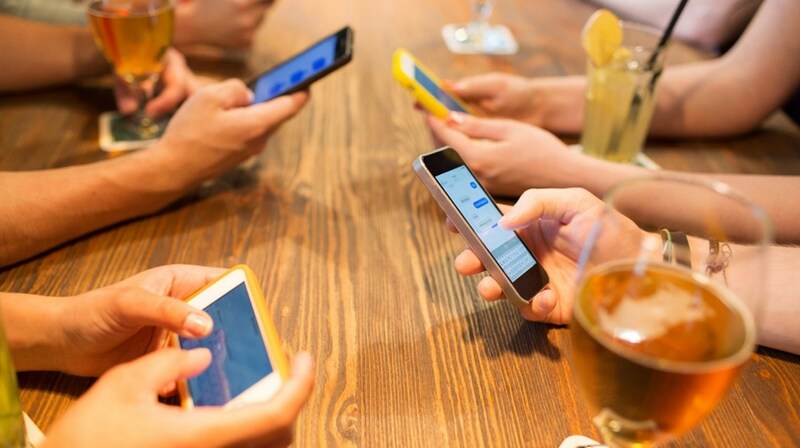 Modern conveniences such as using cell phones and the creation of social networking sites (Facebook, Myspace, YouTube, Twitter) for interaction have shown a variety of influences in the research. Further, the 2010 Media Industry Fact Sheet reported that two-thirds of the population over the age of 13 are connected by cell phones, Therefore, it is the purpose of this Article to examine the impact of social networking and mobiles being the main culprit on the skills of communication and conflict resolution within the young adult population. This has become the question and concern for many leading phycologists in general and is the topic of this research paper. Do you remember the last time you had a peaceful evening meal with your family without your phone beeping for a message or group chat? Social media has had an impact on every generation ranging from mild to extreme. Although the increasing technology and constant innovation in today’s time is making lives easier, that everything is accessible and available to us at the touch of a button, but the same is becoming a bane rather than a boon as rather than using the same for long distance and emergency purposes and the same is being used to call a friend or family member who is sitting in the next room (one instance) or sometimes even in the same room. Everything being a click away is making physical and verbal interaction fade away from our lives. Some of the main culprits for the same have been tools like instant messaging which started off as texting. While for some using social media is for merely creating a virtual world/getaway for themselves and for some it is out of being lazy. It is an addiction for all and leading to our communication methods declining and the elimination of emotions as well, deteriorating relationships. Example: Having 3000 friends on Facebook and not even 5 mean something to us. This is ruining the quality of social interaction that all human beings need. There is a need to make relationships that count last and not rely on technology to do the job for us. The presence and the constantly increasing advancement in Technology have led to things becoming ‘easy’ as everything is available at the click of a button, at the same time it has ‘texts’ have started replacing and acting as the intermediaries in people life instead of actual verbal communication which is a matter of concern. After interviewing more than 300 young people and 150 adults in a lot of studies, it was found that children were often times the ones complaining about their parents’ obsession with technology. It was also discovered that many children believed their parents paid less attention to them than to their smartphones, often times neglecting to interact with them face to face until they had finished responding to emails, due to parents being involved excessively on social media in front of their own children, it sets an example for children to do the same as well. Hence. The next generation is fully immersed in social media, unlike its partial predecessor. The transition from email to instant messaging to texting is one where the graph of social media spiked up with 75% using this medium and 48% doing so at least once a day. This format is typically private and can be an opportunity for adolescents to practice and develop social skills. Different speculations regarding how and why are people especially young adults attracted to social media have been taken into consideration. While some say it’s just seen as a platform by them for instantly staying in touch with their loved ones and contact them instantly for sharing their thoughts and emotions, for others it is like a virtual getaway wherein they can express their thoughts unknown people and associate with them through varied perspectives and in some extreme cases it is an entry into a individuals world of desire a virtual world which the person doesn’t have in real life. different avenues during a person’s developmental journey. And if there is continued reliance on social media for the same then an individual’s ability to handle real-life conflicts will absolutely become nil. The conclusion to this article is that the usage of Social Media has become a subconscious culture/habit within our heads and as each generation that takes birth on this planet is gradually being fully hardwired to use social media and technology by birth, only a witty guess would determine what the future has in store for humans and technology as the dependability of the former on the later is much more than just the required use.